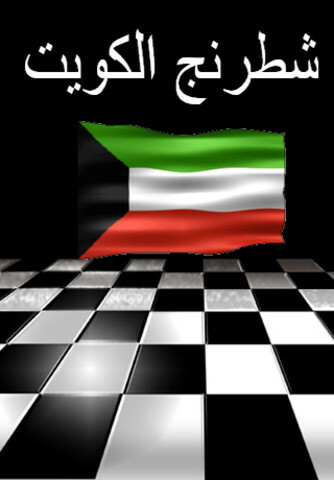 Based on that Kuwait chess federation Contacted Mr. Mats winther from Sweden asking for permission to use his program – Standard Rating – to calculate players rating improvement from one tournament to another & immediately after obtaining his approval – to use the Swedish rating program – KCF issued the first Kuwaiti rating list in May 2002 . Swedish system is characterized as unstable; it was used to increase the possibility of lowering or elevating rating in each single tournament; considering the limited number of annual tounaments in Kuwait. 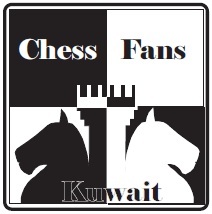 Finally it’s worth noting that Kuwait chess rating list does not affect FIDE rating list whatsoever. As a result of the fact that the rating calculation program was not linked to the Swiss pairing program, The process of the rating calculating was off-putting and stressful due to the large number of players that needed rating calculation; saying more than eighty players per tournament each of them playing the full nine rounds or less. 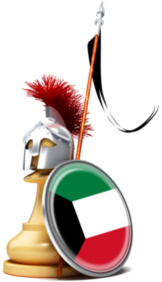 Accordingly, Kuwaiti ratings were calculated by the FIDE system with a K factor of 30 for the previous three tournaments (Sharq 2008 – Fischer 2009 – Sharq 2009) which provided more rapidity, flexibility and precision as it can be seen. A- The rating system levels the players based on their results in actual played rounds which can help the federation to go back to the 2-tier tournaments with A,B levels based on ratings, hopefully in the coming future. B- Players can keep track of their personal progress. C-Players shall be able to predict the class of their opponents in any given round, which can help to decide what kinda game one would start against a much stronger opponent for example. which may lead to an easy point (almost guaranteed) for bugay and a tough fight between the bader & edgar ! AS can be seen this is just one example for an early pairing that does not represent justice nor efficiency. Using the rating system will lead to the above mentioned players playing opponents with similar rating points differences, achieving relatively just pairing . -when will the next rated tournament be ?